Serve anything from fruit and salad, to side dishes and desserts with stylish, contemporary confidence in this Cambro RSB6CW135 clear Camwear 18.8 oz. round ribbed bowl. 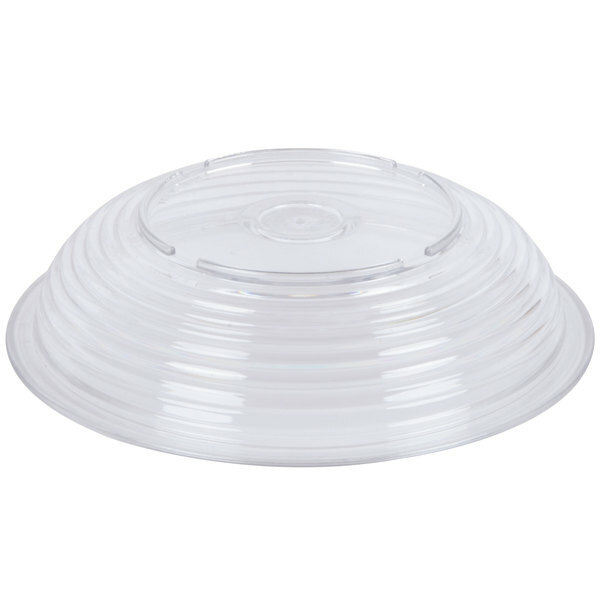 Made of durable Camwear polycarbonate plastic, the Cambro RSB6CW135 Camwear round ribbed serving bowl won't break like glass, dent like stainless steel, or chip like acrylic. It also resists stains, food acids, and odors. 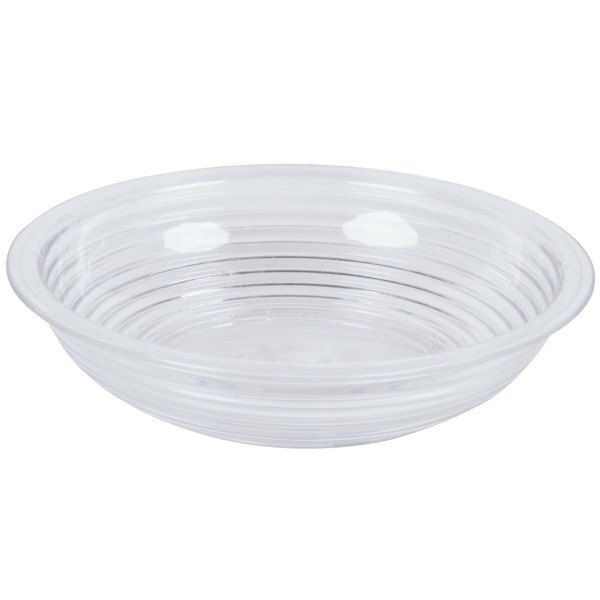 Overall User Rating: Cambro RSB6CW135 18.8 oz.Clear Camwear Round Ribbed Bowl 6"
I love the look, feel, and usefulness of this bowl. I use this for salads, soups, cereals, and whatever else I need it to be. 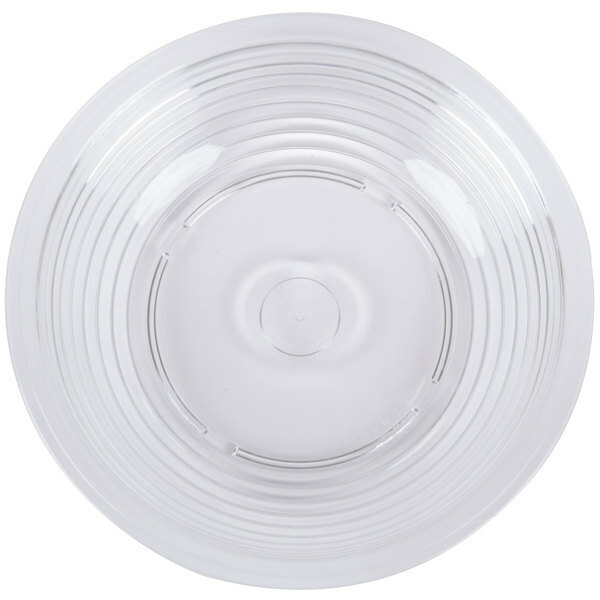 This 19 ounce round bowl is 6 inches in diameter. This bull is a good choice for side dishes such as salad, fruit, or other vegetables. 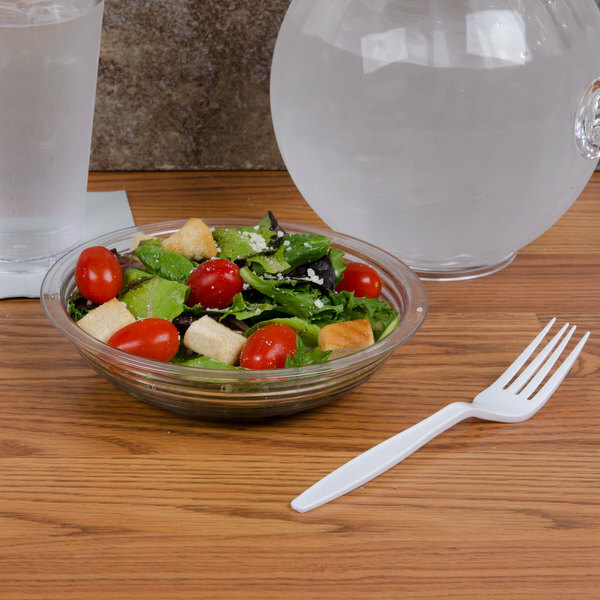 If you prefer to use plastic serveware at your events or in your restaurant this may be a good option. 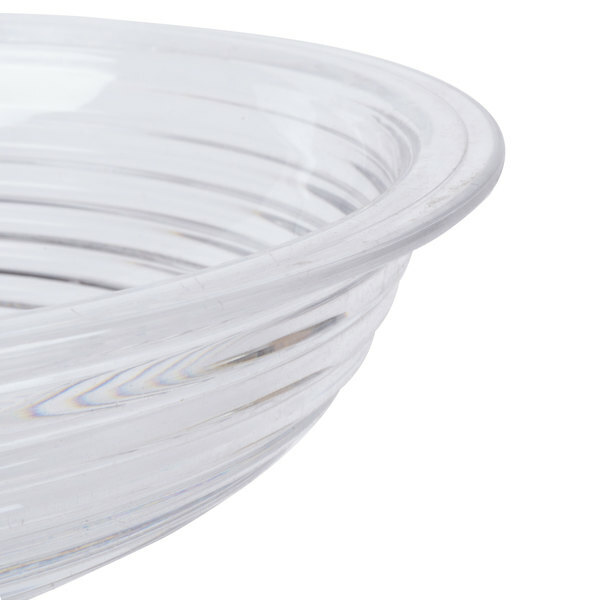 These bowls are made of polycarbonate plastic which allows them to be washed in the dishwasher. 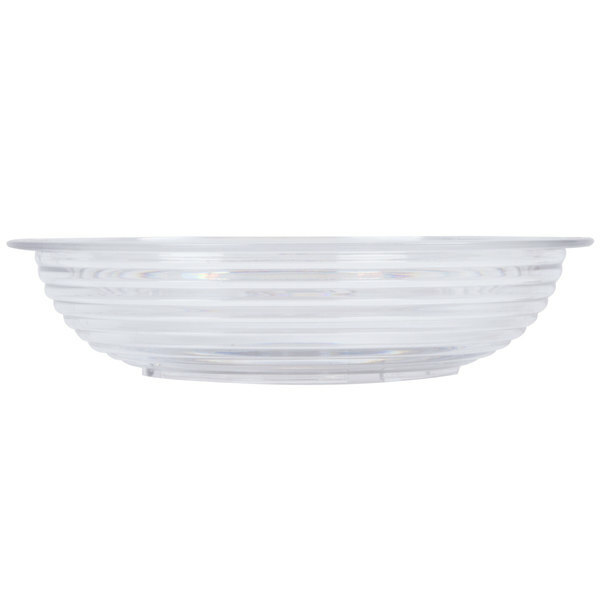 The Cambro RSB6CW135 18.8 oz.Clear Camwear Round Ribbed Bowl 6" is perfect for a bowl of popcorn or a salad. The quality is pretty good, especially for the price. I highly recommend and will purchase again if needed. I like solid color bowls more generally, but I do enjoy using this one for ice cream and sorbet. These bowls are very durable. Worth buying.